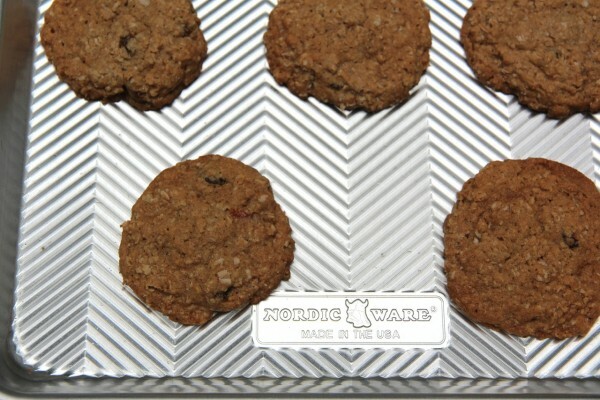 Product Description: A new style of baking sheet pan from Nordic Ware, which comes in one smaller as well as one larger size as well. “Natural Aluminum; Interior Dimensions: 16.50″L x 11.375″W x 1.00″H; Exterior Dimensions: 17.88″L x 12.88″W x 1.06″H; Product Weight: 2.35; Lifetime Warranty; Made in the USA.” The “Prism” line also includes two sizes of high-sided baking pans – a 13 x 18-inch and a 9 x 13-inch. Test Kitchen Overview: We immediately noticed the textured ridges on this pan. 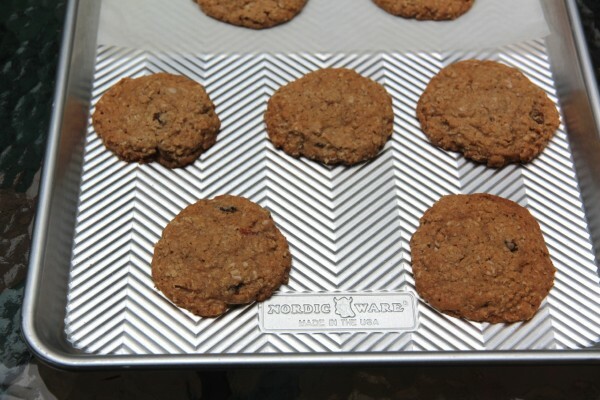 We wondered if they would make a difference during baking so we made cookies both directly on the pan as well as on parchment paper laid on top of the pan; we also made granola spread out directly on the pan. The hefty weight and general high quality construction was immediately apparent as well – as we have come to expect from Nordic Ware. 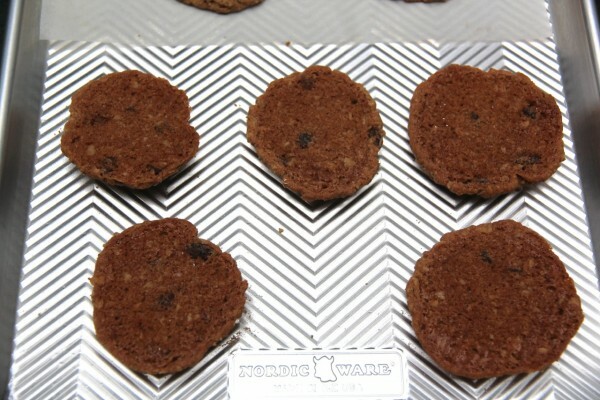 As you can see in the images, the bottoms of the cookies baked directly on the pan were perfectly and evenly browned. They even picked up a bit more caramelization than the ones baked on parchment, and we liked that very much. 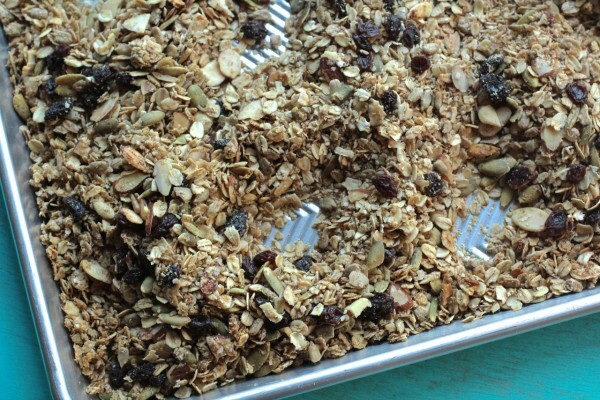 The slight texture to the pan encouraged very even browning with our granola as well – and even though the sticky oat mixture was directly on the pan, clean up was a breeze. Pros: Standard half-sheet pan, which is a size we reach for often. Large enough to hold a bunch of cookies but will fit in standard sized ovens, taking advantage of the rack size. Priced very well for such a great piece of equipment that will last for years. Cons: Not a necessary item, but a solid addition to your equipment. 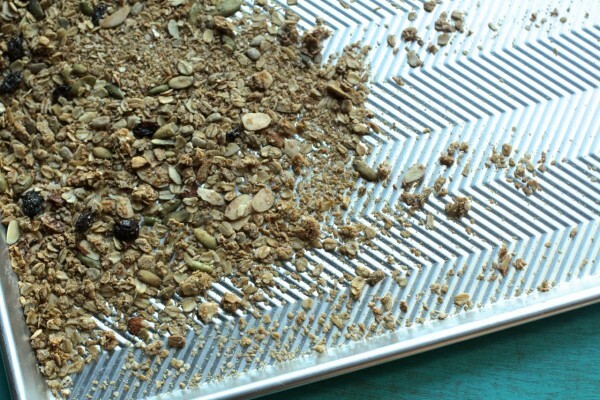 Suggested Use: Anytime you need a baking sheet pan with great heat conductivity. Would also make a great holiday gift for the bakers in your life. 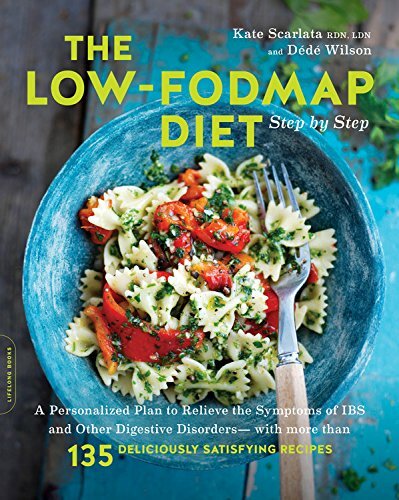 Have you tried this product? Let us know what you think in the comments below! 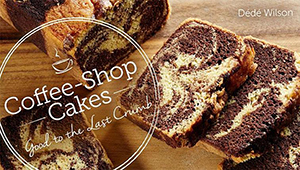 Bakepedia received this product as a gift for review. All opinions are the reviewer’s own.